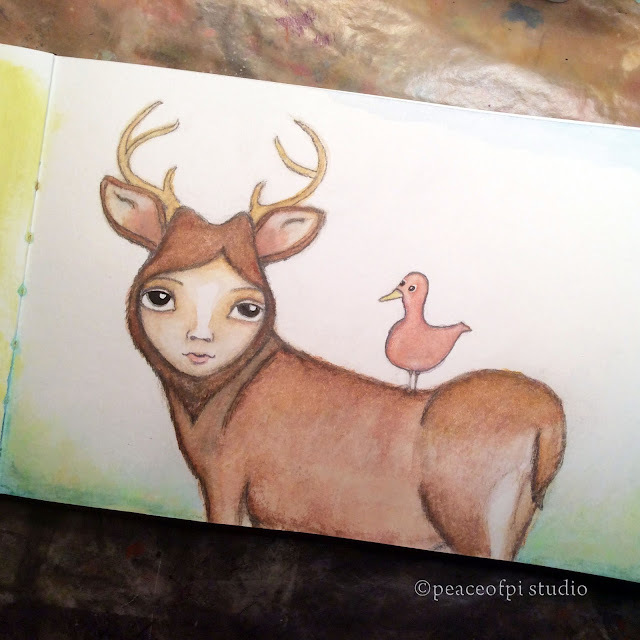 A glimpse into my art journal at a few folk art animals, beginning with doe, a deer woman. She travels with a bird, a loyal friend who follows her wherever she goes. Painted in my Moleskine Watercolor Notebook (I have the large size) these illustrations combine pencil, watercolor paints and ink. 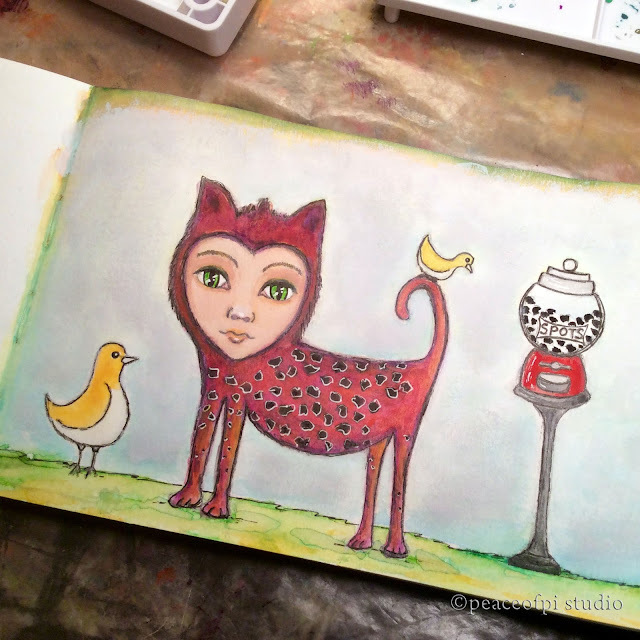 This spotted cat person has two bird friends. Is she a cat or a person or a cat-human hybrid? Are the spots real? Only the birds know for sure. I've translated both of these sketches (and others) into digital form for cards and other gear at Redbubble. 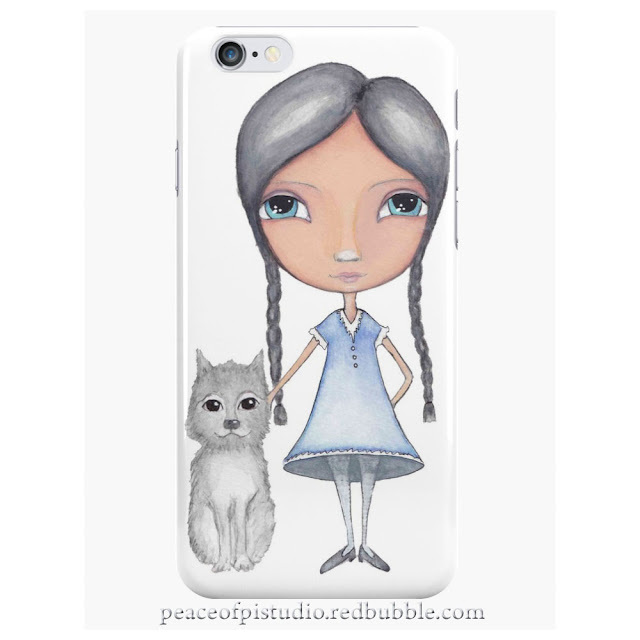 Like this Dog and Girl watercolor on a phone case/skin. More folk art animal paintings are in progress, hop over to my instagram @peaceofpi_studio for updates!